Now Building at The Ridge, Canton’s Newest Family-Friendly Community! Custom-built homes with top-of-the-line features and finishes, designed by you and built by the best. “I couldn’t have imagined having a more beautiful and well built home! 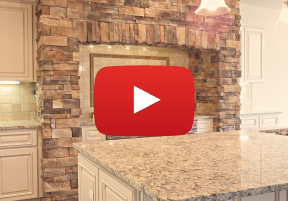 With over 55 years building experience, Livonia Builders and Breault Homes have developed a winning formula for working with new homebuyers to design and build a custom home that reflects their unique styles and needs. Together, they have built thousands of homes in the greater Southeast Michigan region. 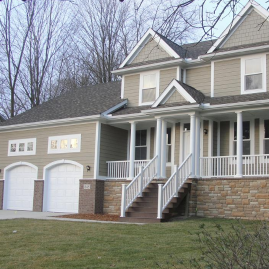 Livonia Builders has an incredible track record of creating solid homes with excellent standard features at extremely competitive prices - a winning combination for our customers! In order to deliver the personalized experience our reputation was built on, all of our prospective homeowners deal personally with the owner, Danny Veri, who is known for his attention to detail and loved for his friendly and heartwarming personality. A large part of our success comes from the ability to offer top-of-the-line standard features at prices that blow the competition out of the water. At the end of the day, we want you to get exactly what you desire, but we’re sure you’re going to love many of the amazing standard options that were carefully chosen by our seasoned designers. There’s nothing like watching the home you’ve always wanted come to life. With a portfolio like ours, you can be confident that we’re the right team to make it happen. Just see for yourself. The contents of this webpage are Copyright © 2019 Livonia Builders. All Rights Reserved.